I noticed last night that the gym was still busy but not crowded like it was last month. As much as I enjoyed not having to wait too long for the machines I wanted, it made me a little sad to think of all the people who wanted to make a healthy habit but veered off track. It did not take long for the workout motivation to wane. Have you made the commitment to exercise and started out with all your zest and vitality, only to find that you’ve come screeching to a halt? It happens to us all. Change Your Mindset – Once you have made the decision to exercise, it is important to make the commitment that you will follow through. Change how you view your new-found decision by making it something positive and rewarding rather than just one more dreaded thing you have to accomplish. When I went down a pant size I celebrated by buy some really nice workout leggingsfrom Athleta that I had been eyeing! The reward was something I felt was a prize but since the prize was workout gear, it is something I have to keep using to enjoy. Visualize – Practice visualizing your goal. If your goal is to be healthier, spend some quiet time imagining yourself sitting on the beach — being healthy, happy, and whole. If you are heading toward a long-awaited vacation, picture yourself in a beautiful sundress or bathing suit that you have wanted for a very long time. If imagining the future is hard for you (like it can be for me) then take monthly progress pictures and look at them when you are ready to give up! Seeing the change can really inspire you to continue. Get Together with a Friend – Match your calendars to find that time slot where you are both available for 30 to 45 minutes of exercise. You will find that the motivation of another and being accountable to that date and time will open up the time slot needed for exercise and socialization as well. I work out with someone I have been friends with for a very long time. We don’t always work out together but we normally do. It helps keep me accountable and I get to socialize! Make Exercise a Family Affair – Rather than taking the kids to the park and sitting on a bench watching them play, grab your bicycles and go for a ride or jog. Not only does that make time for exercise, it also makes time for family. 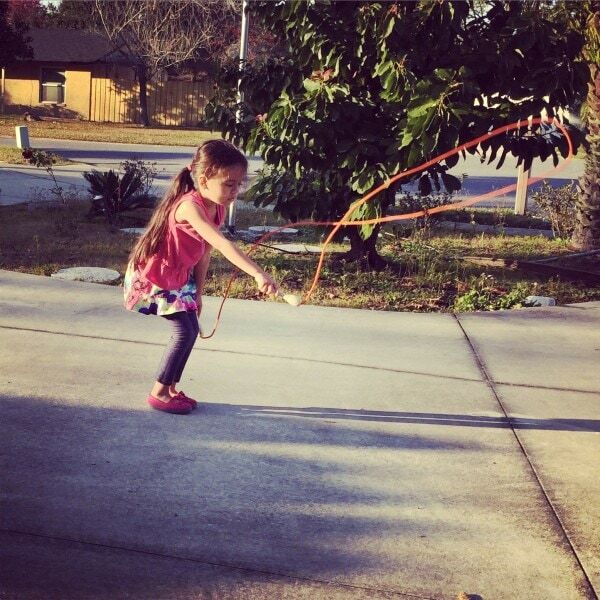 We jump rope together outside on the afternoons when we don’t go to the gym. When your children are enthusiastic about playing with you, that enthusiasm will become contagious and continue to motivate you. Exercise when You Least Want to – So many of us are guilty of feeling and thinking too much, especially when you are having a “bad day.” It is at that moment that you should replace your downward spiral with exercise. It is not only good for you physically, it will work wonders for you mentally and emotionally as well. It helps you release the frustration and anger. You will actually be able to turn something negative into something positive. Track those times when you feel better mentally after a workout and turn to it during those “I don’t have the time or I don’t feel like it” moments, you will read the results right off the page and get moving. It’s normal to not want to work out every day. But to get the results, we have to power through it anyway. 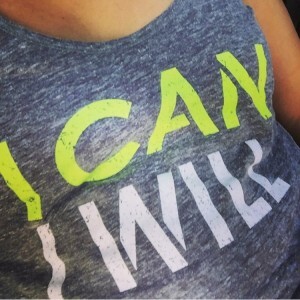 Want to know where I started on my fitness journey and why? Read more here. Grab a motivating gift for your gym partner! Thanks for these tips! It is really hard to stay motivated and these will help. Echo recently posted…Who’s The Boss? Ok where can I get those t shirts? Before kid I LOVEED to get up early and workout, but now that would have to be like 4:45 or 5 with kids. I never can find the time! Doing it as a family or with a friend is a awesome way to stay motivated! These are all great tips thanks for sharing! Hope you have a great weekend! Great tips. I lost my motivation to exercise a few weeks ago and haven’t found my mojo yet. Colder weather makes it harder for me and my illness but I need to get back to it as I always feel better when I have. Thanks for sharing with Small Victories Sunday Linkup and hope you join us again this weekend! Pinning to our linkup board. 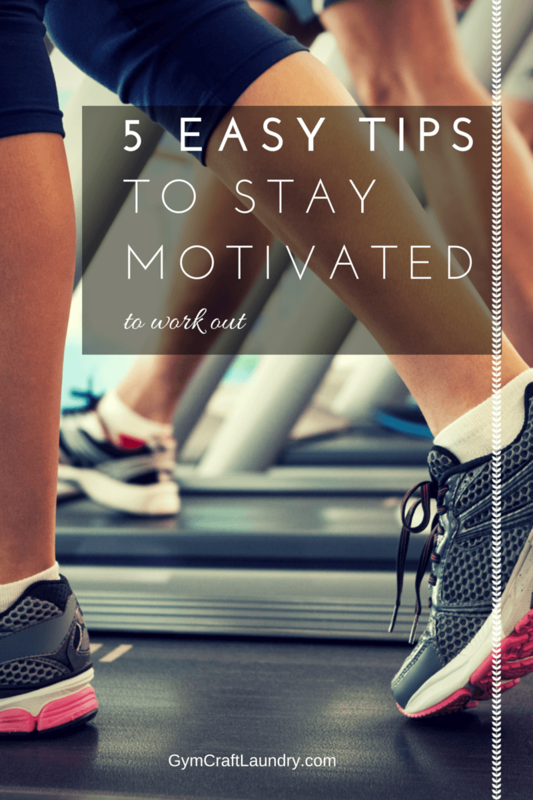 Great tips for staying motivated! I especially like the last one. Whenever I’m not in the mood to work out, I always end up feeling SO much better if I just do it. Pinned & will share.